Microcoat has the flexibility and capacity to realise manufacturing ranging from small scale prototyping and validation runs of a few thousand strips, all the way up to full scale manufacturing of millions of strips annually. We harbor instrumentation for batch and reel-to-reel production. Microcoat not only offers contract manufacturing but also custom development and validation of lateral flow tests. 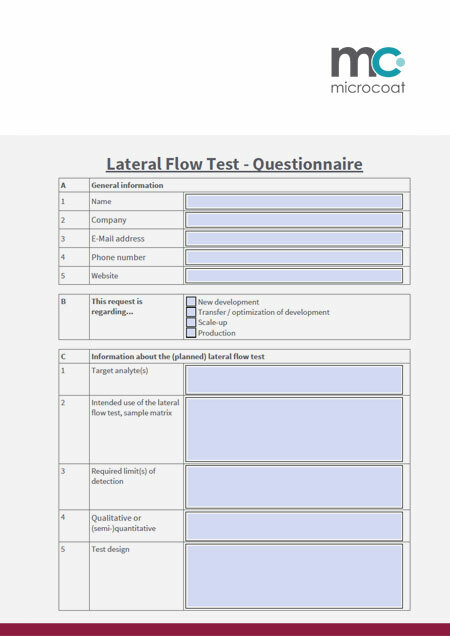 Our experience with lateral flow tests includes applications for food safety, agricultural and environmental testing. Test strips are available in dipstick or cassette format. They are sold in bulk quantities or assembled to ready-to-use diagnostic kits with your brand. Microcoat provides ISO 13485 compliant OEM manufacturing according to your requirements under your brand. Able to execute the test and read result in the field. QIAGEN Lake Constance is a center of excellence for optical detection within the QIAGEN holding. We focus on the development and production of portable instruments for point-of-need testing. Our easy to use OEM products enable our customers to develop their final product, either lateral flow or nucleic acid based (isothermal) assays, in many different applications, from food and feed safety testing to veterinary analysis, and many more. Specifically in the field of high sensitive and reliable lateral flow readers, we offer our customers a device which can be used for in-vitro diagnostic tests as well as for food, drug or feed testing applications. Whether you need a simple colorimetric quantitative readout of your test or you need a fluorescence readout, we can provide it to you. The reader is available as OEM product with many customization options or as QIAGENs ready-to-use lateral flow reader, the “aLF reader”. 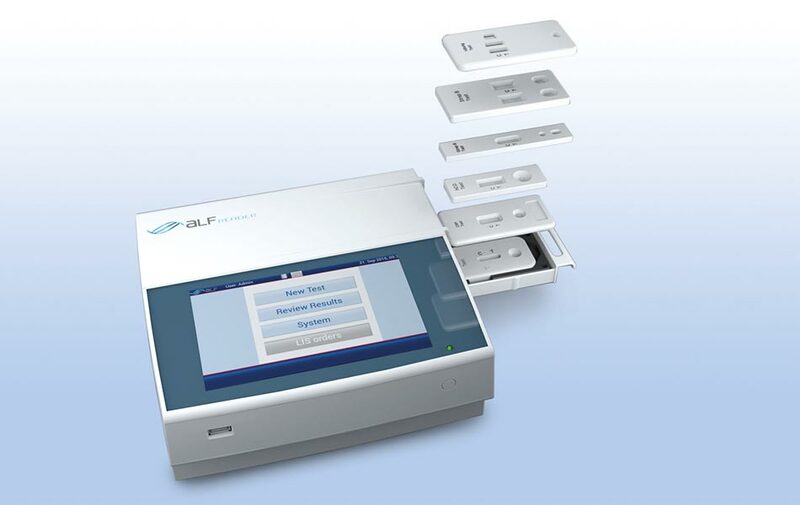 The aLF reader is an open platform which can process a broad range of lateral flow tests. Test suppliers can switch to a broad installed base in the field without need to develop their own reader. If you are interested in our rapid prototyping platform please download and fill-in the contact form below.